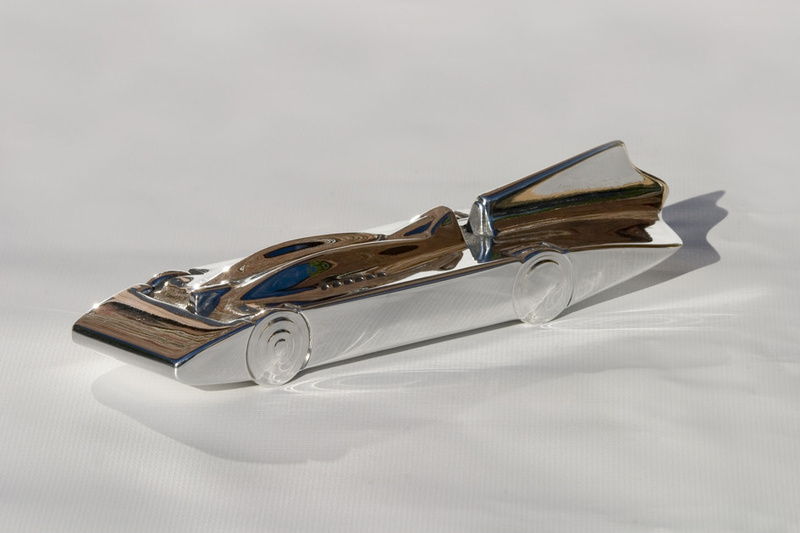 A limited edition of 301 pieces will only ever be made, as Malcolm Campbell reached 301.129 mph in 1935. 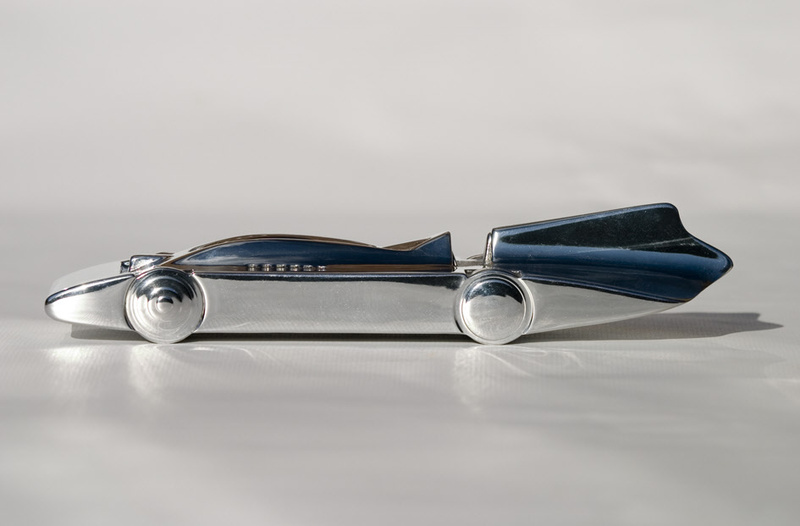 This 295 mm long sculpture is sand cast in aluminium and then finished and polished. 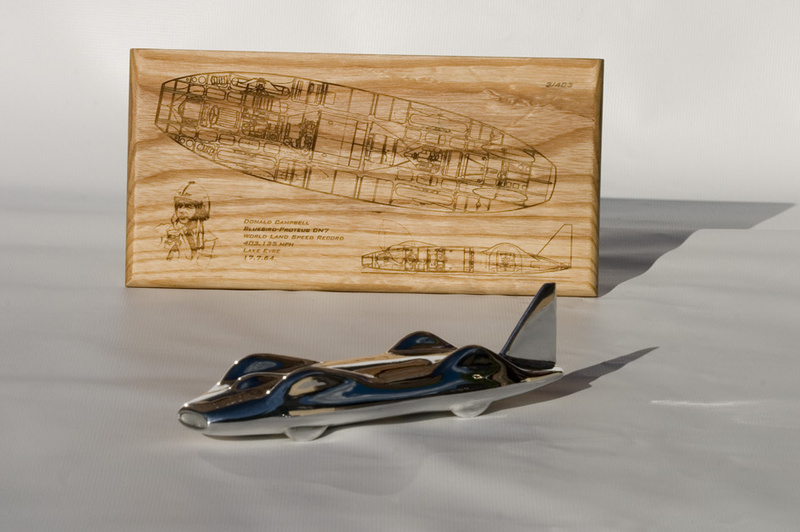 It is presented with an Ash base with a technical cutaway drawing laser engraved into the wood. 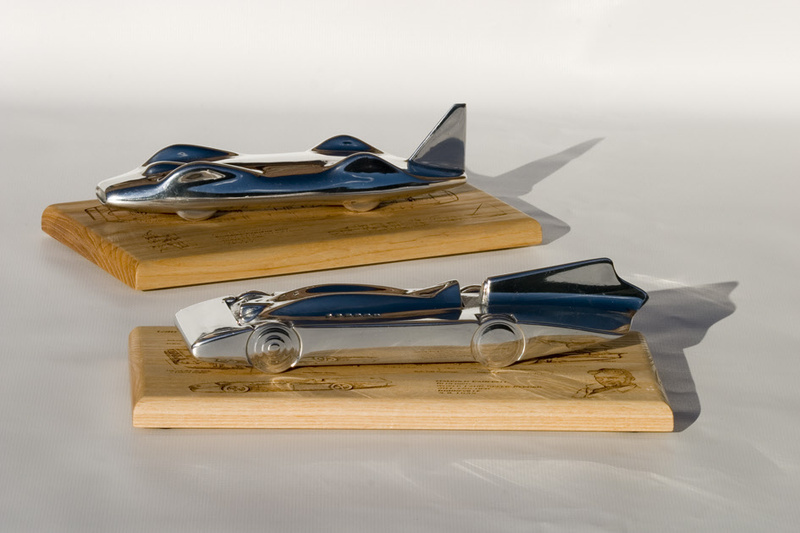 The price includes a wooden presentation box and postage within the UK. Please email for overseas postage costs. 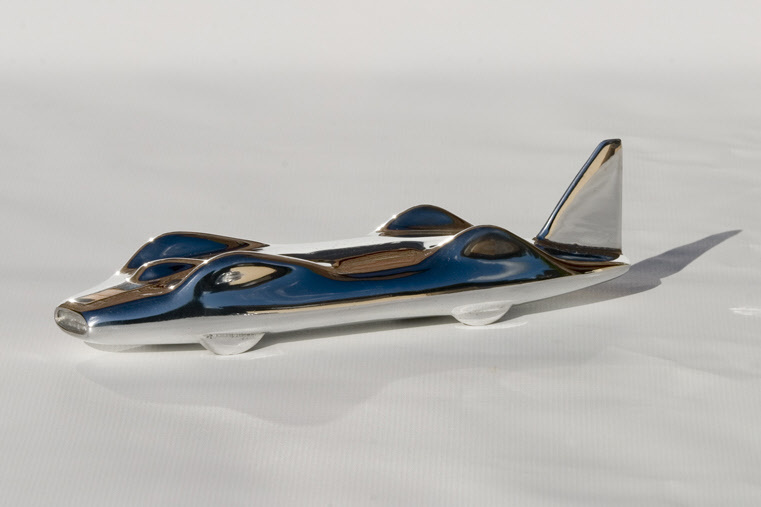 A limited edition of 403 pieces will only ever be made, as Donald Campbell reached 403.135 mph in 1964. 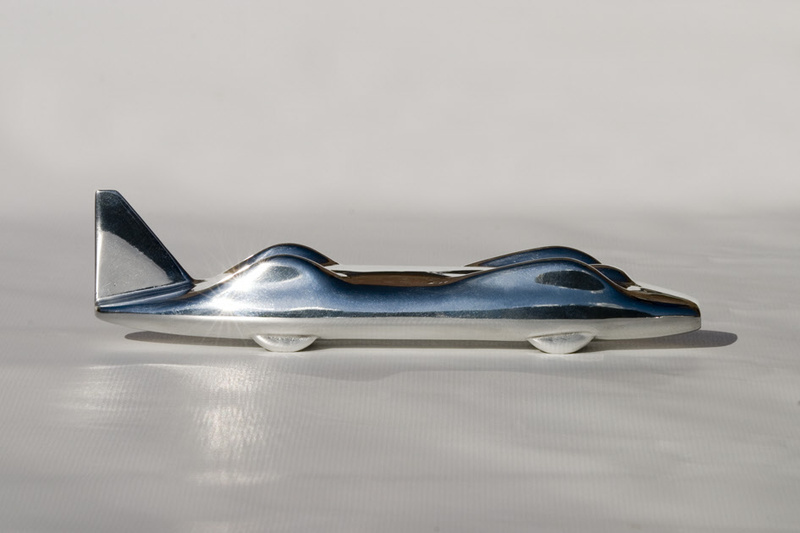 This sculpture (250 mm) is also sand cast in aluminium and then finished and polished. 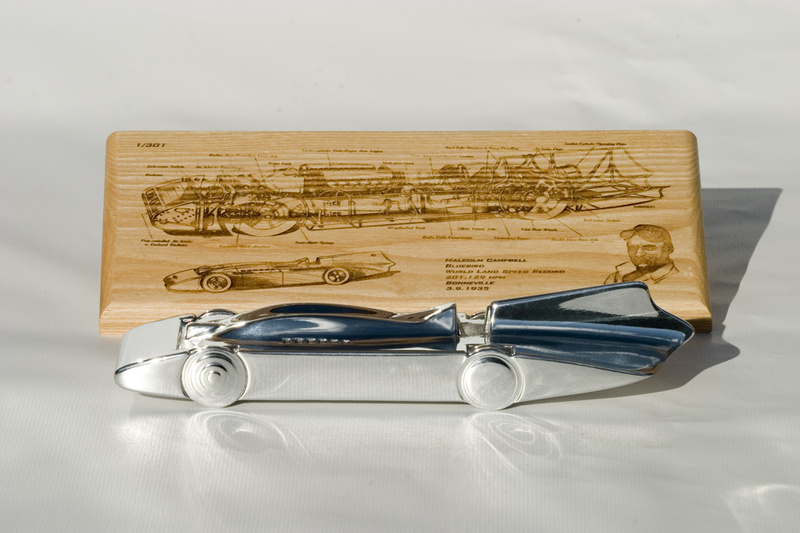 It is again presented with an Ash base with period technical drawings laser- engraved into the wood. The price includes a wooden presentation box and postage within the UK. Please email for overseas postage costs.